REMOTE HUNTING LAND IN THE MISSOURI BREAKS!! !! Power is over a mile away. 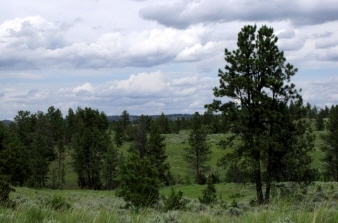 This property is located north of Billings about 130 miles and about 30 miles from Winnett, Montana (pop 250). It is in the Missouri Breaks area, a wonderful place for peace, quiet, seclusion and isolation, not to mention lots of elk, mule deer, turkeys and antelope. You would be less than 20 miles from the Charles M Russel Wildlife Refuge.